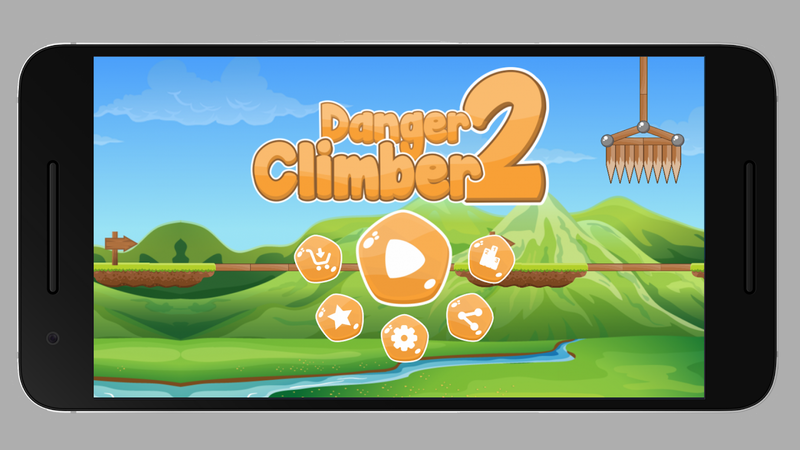 Hill Climber - Danger Climber is a 2D physics-based game.EndlessRacing and Climbing. Stay attentive while playing becauseany timeany thing could be happen. Try to go as far as you can andreachthe top of the hill. Drive and climb throughoutdifferentscenarios. This will be new experience for you but you canlove it.Download Hill Climber - Danger Climber and start racingnow.Features: - Great 2d physics. - Lots of hill climbing fun.-Endless Race . - Many Obstacles. If you are looking for a free and simple educational app to helpyour toddler learn phonics and trace letters of the alphabet &numbers. Look no further than Kids Learning Apps - Kids EducationalApps 2019. Kids Learning Apps - Kids Educational Apps is a freephonics and alphabet teaching app that makes learning fun forchildren, it is specially designed for toddlers and pre-schoolers.It has facility for kids to practice of writing alphabets andnumbers . Any toddler or preschool age child can English alphabetsimply by following the arrows with their finger. Kids LearningApps - Kids Educational Apps is more than just a kid-friendlyeducational app. The interface keeps kids focused on reading andwriting. Features: - Kids Learning App helps children learn theAlphabets & Numbers. - Includes tracing , phonics , lettermatching, and much more. - Listen phonics and watch letters andnumbers. - Each and Every thing is with Pictures and phonics. Weput our best effort to build fully featured Kids Learning app foryour kids which echances their learning & capability ofLearning which phonics and pictures. The best part of this app isthat it provides tracing facility to kids. Subway Robber - Robber Running game - police game is a wonderful3DRun Game from Rapid Soft Free Games. This is a unique crazyrungame filled with fun and entertainment for the subway Surflovers.Subway Robber - Robber Running game - police game is anadventurousgameplay to run in the subways and collect all the coinsto unlocknew levels. If you are a good runner, then this is thebest placefor you to score & get rewards. Challenge yourfriends tocompete with you to collect coins & win coolsurprises whichare just waiting for you all. Subway Robber - RobberRunning game -police game is the most thrilling yet dangerous gameadventure ofthe year 2018.In this gameplay, you have to swipe toturn, jump,run & slide over to avoid obstacles. Oops, don't gethit by theobstacles such as burging fire and other things as youmight getcrashed. Just keep running to collect coins to completethe level.Be careful while running as you may get hit by obstacles.Keepescaping and don't get caught by the security while runningtocollect the coins. Wow! You will have amazing power boosterslikemagnets were you can collect all the coins from another endwhilerunning. Get ready to Download & Play the most thrillingrungame of the year 2018. WhatsApp Status Saver is a status downloader app whichdownloadsstatus of your friends this app is very helpfull todaybecauseevery one upload its status everyday and in whatsapp youdont haveoption to download it directly. How to use this app: 1.First youhave to Watch Status from your original WhatsappmessengerApplication. 2 . Than open this app it will scan anddisplay thatPhoto or Short video will be seen. 3. You can directlysave fullscreen image or profile video to your storage. 4. Seenstatus willauto update in this app version . 5. View Shared 30 secVideoStatus on statuswall Note 1:WhatsApp Status Saver is anindependentone and is not affiliated with any 3rd Party includingWhatsappinc. Note 2: App not use to clone or hack Anything it justdisplaydownloaded files in app. New! Dr. Driving 2 is released! Dr. Driving drives you crazy! Burnup the street with the fastest and most visually stunning drivinggame. Sign in with your Google account to play online multiplayer.You can get free gold when you finish mission before opponent inmultiplayer (Max 1,000 Gold). SUD Inc. Prepare for a race by picking one of thehugepowerful super crazy monster trucks, gain enough speed to jumpoverthe ramps or climb to the stiff hill made of old trashedcars!Enjoy all the surprises in each level! Hill racing - its coolandfun! Exciting climb racing will not leave you indifferent.Be fastest racer on the hills!Enjoy monster truck game!Be next Racing Monster Truck hero!Race with powerful V8 monster trucks on endless gameplay!Features:- Non-stop fun and beautiful gameplay- V8 Crazy Monster Truck- Great sounds- Easy to controlDownload now for Free!Racing Monster Truck is an simple but very addictive gamewhichbase on realistic physics.Amazing addictive game with HD graphics.Game has infinitely number of randomly built levels.Racing Monster Truck works offline.Racing Monster Truck supports all devices.Racing Monster Truck is suitable for tablets. Blocky Highway is about racing traffic, avoiding trains, collectingcars and most importantly having fun. Collect coins, open prizeboxes to get new cars and complete collections! Drive at full speedto score big and be the #1. Crash time! Control your car aftercrash, hit traffic cars for extra score! Key Features - Gorgeousvoxel art graphics - 4 worlds to choose from - 55 differentvehicles to drive : Taxi, Tank, Ufo, Police Car, Army 4x4,Dragster, Monster, Space Shuttle, Motorbikes, Boats and so muchmore - Crash time - 11 car collections to complete - 3 game modes -Endless easy mode for kids - Missions - Game Services Leaderboards- Desert, Snow, Green and Water themes - Achievements You willenjoy this endless traffic racer for sure! Please leave a ratingand give your feedback so we can further improve the game. CreatedBy Dogbyte Games, creator of Offroad Legends, Blocky Roads, RedlineRush, Off The Road and Zombie Safari.